Please visit Dashboard->settings->Social Subscribe Box and click on the “Newsletter” Tab. You will see a list of settings like below. 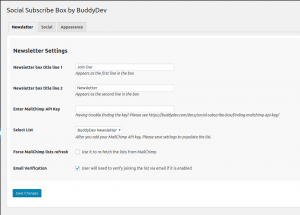 Here you can customize the form title and add your Mailchimp API Key. Step 1: – Find your API Key. 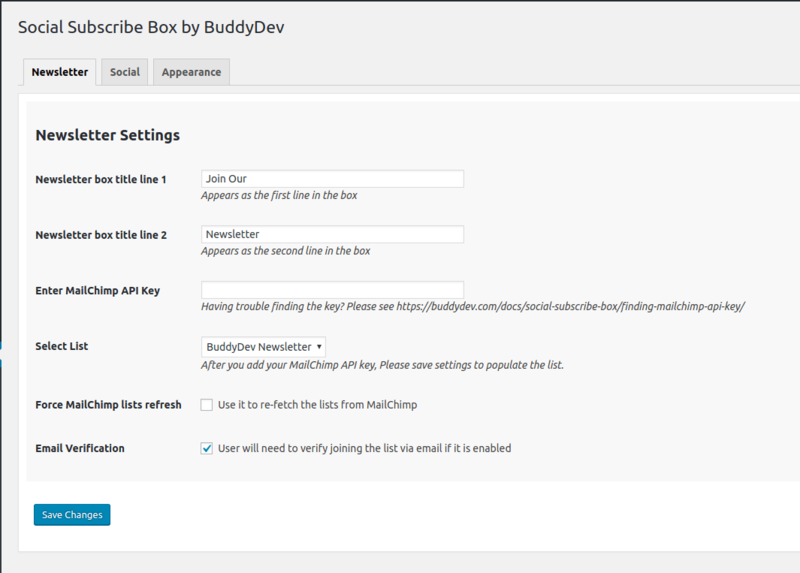 Step 3:- On page reload, Please select the list you want the users to subscribe to. The plugin will fetch all lists form your mailchimp account. Mailchimp API Key is required. If you don’t add a valid key, the front end slide box will not be visible. You can directly add the users to the list or enable double opt-in. The email verification is a good step and we recommend keeping it enabled. It only adds users to your list when they verify their email.